A good while back Patz and I did a guest spot a podcast for Phillip’s I Heart The 80′s podcast. In that legendary and seemingly lost podcast we talked about a breathtaking work of staggering genius in the field of cinema. We took our cinematic expertise to the limit when we discussed Joseph Zito’s auteur classic, Invasion USA. The movie is both a shockingly raw critique of the American mindset and a Kafkaesque examination of the psychology journey of the protagonist through an inner landscape of angst and ennui. Or it is a very silly Chuck Norris movie where a redneck ninja commando kills a bunch of dirty foreigners trying to take over America. In the most silly ways possible. Either way I think you will enjoy the ride. Listen to the episode and convince Phillip to talk about more amazing (and amazingly bad) 80s movies. 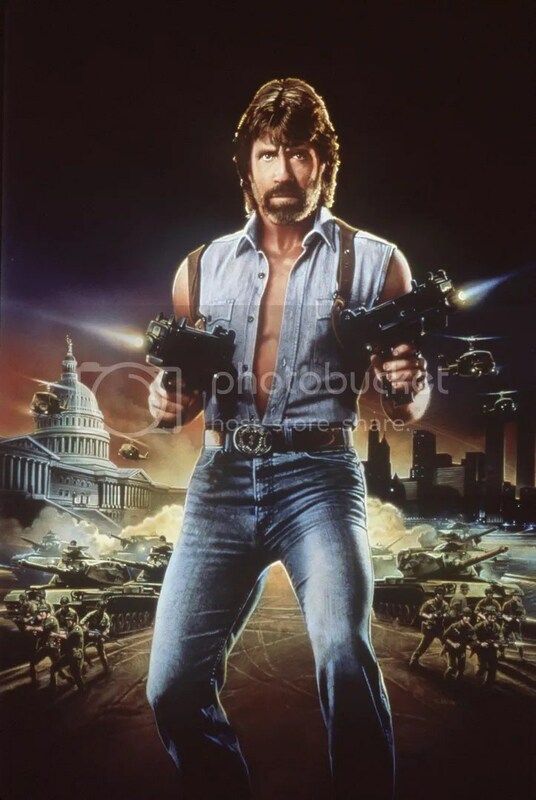 Posted in: Guest Spots, Live Action, Podcasts | Tagged: I Heart the 80s, Invasion U.S.A.
And when Chuck Norris goes to sleep every night he checks his closet for Guts.